More than a dozen years ago, Lisa Addario and her husband/screenwriting partner Joe Syracuse had an idea. Saddam Hussein was in hiding. What if the Iraqi president showed up in suburbia? The script became a Hollywood favorite. It made the “black list”: top executives’ favorite un-produced scripts. For more than a decade, it remained unmade. Meanwhile, Lisa — a 1986 Staples graduate — and Joe had plenty of success. They wrote “Parental Guidance,” starring Billy Crystal and Bette Midler; “Surf’s Up,” an animated penguin film, and “Amateur Night,” based on Joe’s real-life adventures driving hookers around Los Angeles, while Lisa was pregnant with their daughter. Joe Syracuse and Lisa Addario. A financier who loved “Amateur Night” wondered what happened to that Hussein script (at that point, called “Coup d’état”). When he heard “nothing,” he agreed to raise funds for it. Which took another couple of years. Finally, shooting was about to begin. But Anthony Hopkins’ schedule no longer worked. When he pulled out, so did a major financial backer. Michael Caine replaced Hopkins. Then — at the very last minute — Maisie Williams dropped out too. At last, the cast — including Katie Holmes and Odeya Rush — was ready. They and the crew assembled in Savannah. There’s not much humor to be found in contemporary world affairs. Clearly what’s needed is a pointed satire highlighting the inherent absurdity governing global politics today, and “Coup d’Etat” may just fit the bill. At last, the film — now called “Dear Dictator” — is ready for release. It will play in 10 cities, beginning Friday, March 16. The New York venue is the IFC Center (323 Sixth Avenue, at West Third Street). She and Joe are now shopping “Scissor Happy.” It’s her take on growing up in the 1980s, with 3 sisters and a gay hairdresser father. “People love that script too!” she says happily. Hopefully, audiences won’t have to wait until 2030 to see it. 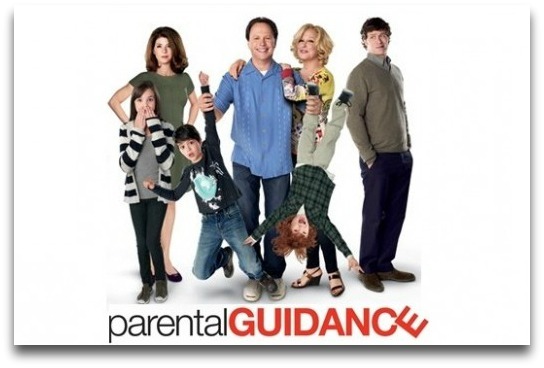 There’s the premise behind “Parental Guidance,” a surprisingly cute and insightful movie that opened on Christmas Day. 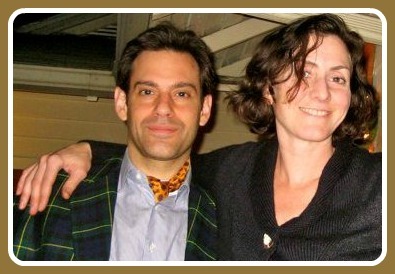 Lisa Addario — a 1986 Staples graduate — wrote the screenplay with her husband, Joe Syracuse. Starring Billy Crystal, Bette Midler and Marisa Tomei, it’s Lisa and Joe’s first foray into the big-time. Now — with a 1st-day box office of $6.6 million that doubled expectations, and $4.4 million the next day — they’re enjoying the ride. 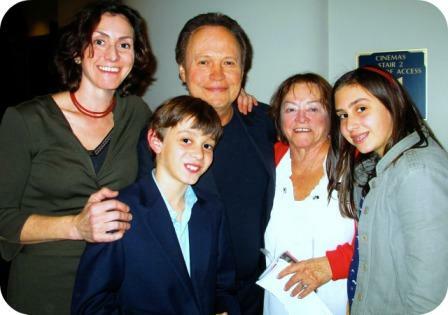 Lisa Addario and Billy Crystal at the premiere of “Parental Guidance” last week with Lisa’s son Augie, mother Camille, and daughter Lulu. Though Lisa never planned on a writing career — she played volleyball and was a gymnast at Staples, then majored in sociology and Italian at Connecticut College — she realized the power of film through Joe, a college classmate who always wanted to direct. Director Allison Anders got hold of “Lover Girl.” Sandra Bernhard starred in the 1997 film — which was shown at the Toronto and Tokyo Film Festivals, and on Showtime — but that didn’t help the writers. Their next project — “Scissor Happy” — was about growing up in Westport in the 1980s. “It was everyone’s favorite script in Hollywood that no one would make,” Lisa recounts. But that led to studio jobs. Lisa and Joe honed their craft, wrote and rewrote, and eventually got a break. Five years ago, Nickelodeon put them in a room with Billy Crystal. He had an idea for a movie about grandparents who take care of their grandchildren. Lisa and Joe’s own kids — Augie and Lulu — were 5 and 7, so they were all over that one. “We pitched ideas like an imaginary friend who gets killed, and a no-outs baseball league — every game ends in a tie,” Lisa recalls. Billy Crystal loved it. “Hire them!” he said. But — Hollywood being Hollywood — the script went through 3 studios and 3 producers. It was finally released by Twentieth Century Fox. “Even though this was Billy Crystal, playing a grandfather in a real family movie, it still took 5 years to make,” Lisa says. “Everyone says, ‘Don’t read reviews,'” she adds. That’s good advice. Most have been “terrible,” Lisa notes — except for the New York Times‘ Manohla Dargis, who was not overly harsh. Lisa saw it with her 95-year-old grandmother, and 5-year-old nephew. The theater was sold out. “Everyone found something to laugh and cry about,” she says proudly. The crying came when the stuttering kid delivers a flawless rendition of Russ Hodges’ legendary “The Giants win the pennant!” call from the 1951 playoffs. It does. Billy Crystal called on Christmas Day. He was very happy. Also happy: Lisa’s parents. Her father Philip — co-owner of Phillip Bruce Salon — is thrilled. And her mother, Camille, “blabs about it to everyone,” Lisa says. 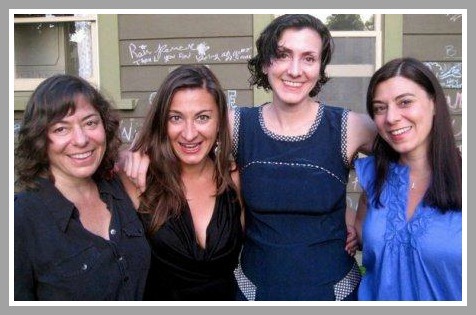 Lauren, Lynsey, Lisa and Lesley Addario. “It’s all good,” Lisa says. Next up: She and Joe are pitching 3 TV shows (including one with Fred Savage). And Billy Crystal is deciding whether to do a sequel.